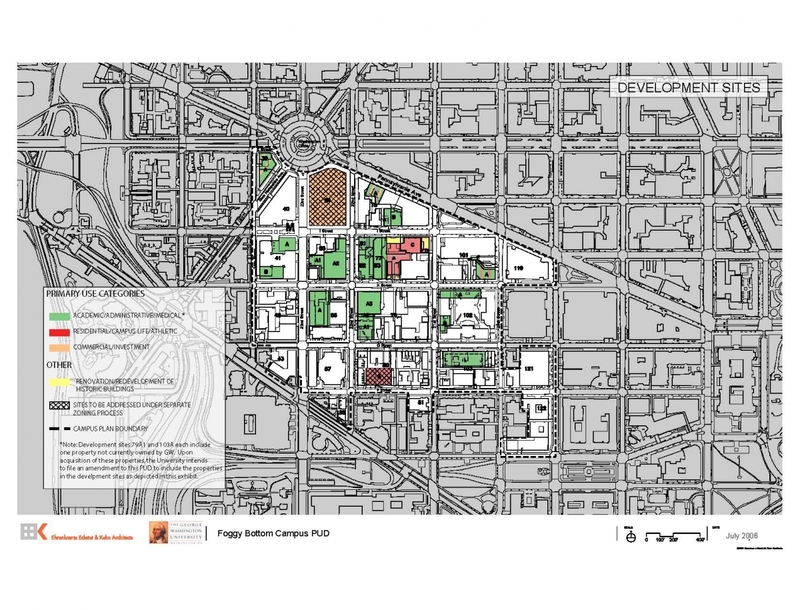 This page includes (in reverse chronological order) all filings to the Zoning Commissioner related to GW's 2007 Foggy Bottom Campus Plan. For regulatory filings related to individual second-stage planned unit development (PUD) projects, please see the specific Development Projects' page. The 11/20/18 filing is not printing correctly. We are aware of the problem and are working to remedy it. Part 3; pages 41-60 (.pdf).